Sentinel Book Signing Event: Rev. Cecil ‘Chip’ Murray & Judge Mablean Ephriam The Rev. Murray and Judge Ephriam will be ­signing their new books next weekend at the Crenshaw Baldwin Hills Plaza. On Saturday, June 9, the Baldwin Hills Crenshaw Plaza will be hosting the book signing of Reverend ‘Chip’ Murray’s “Twice Tested By Fire” and Judge Mablean Ephriam’s “Life Lessons: 52 Tools for Weekly Living.” While the books may differ in format and subject matter, both works feature the advice and testimony of influential, community leaders that have witnessed the commonly-faced battles in life. From the toils of our environments to the relationships in our circles, Reverend Murray and Judge Mablean discuss familiar dilemmas from which we can all benefit. “Twice Tested by Fire” includes the background (born in South Florida), education and life story of the honorable, Reverend Cecil Murray as well as its parallel with the Civil Rights Movement, his participation in the Air force and pastoral history. In “Life Lessons: 52 Tools for Weekly Living,” Judge Mablean Ephriam discusses the daily tools necessary to develop various relationships ranging from parent-child to husband-wife. According to their synopsis, if you’re a person with relationships or in the slightest need of guidance, both books are definitely worth reading. 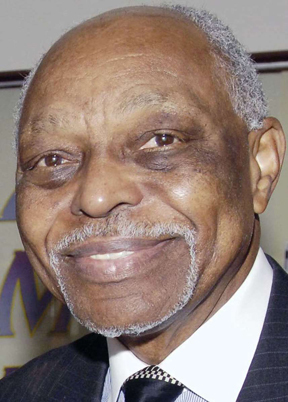 In conjunction with his 27 years as F.A.M.E.’s pastor as well as his autobiography, Reverend Murray also undertakes the community necessities of job training, business loans, re-entry programs, gang prevention and intervention via the Cecil Murray Center for Community Engagement, ascertaining that the foundation and experiences associated are based upon leaders within the faith-based community. 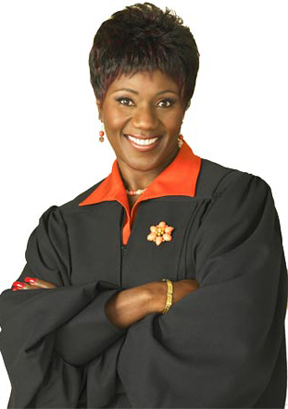 In alignment with her prolific piece, Judge Ephriam is also the president of the Mablean Ephriam Foundation which she defined as a non-profit organization strengthening families, building better communities through targeting fathers, mentoring students, recognizing graduates, resolving and preventing domestic violence. The foundation not only provides scholarships to high school and continuing college students, but to nursing students as well, all in loving memory of her mother Mable Ephriam. In addition, amongst the many other scholarships and admirable aspects of the foundation, a Haiti Relief Fund remains open for donations. Across the border of the foundation’s website are the terms, “Stronger Families + Educated Minds + Economic Power + Better Commun­ities.” It is through her judicial background that Judge Mablean has and continues to accomplish these goals. In this way, Reverend Cecil L. ‘Chip’ Murray’s “Twice Tested By Fire” and Judge Mablean Ephriam’s “Life Lessons: 52 Tools for Weekly Living” are increasing and bettering the opportunities of our community.